TGIF! Congrats on making it to Friday[. . .seriously, insert cheers]!!! I want to begin by thanking everyone who linked up with us for our 1st week hosting H54F! We had so much fun reading your posts:) If you’re new to the party and want to know more about the link-up and how it works, or about us and how we became the new hostesses, you can catch up here. Congrats to Becky over at BYBMG who won our $100 Target giftcard giveaway! 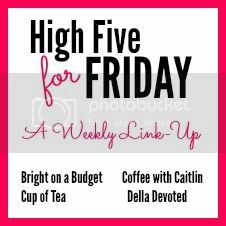 Each week, H54F will feature a blogger who has linked up the week before. 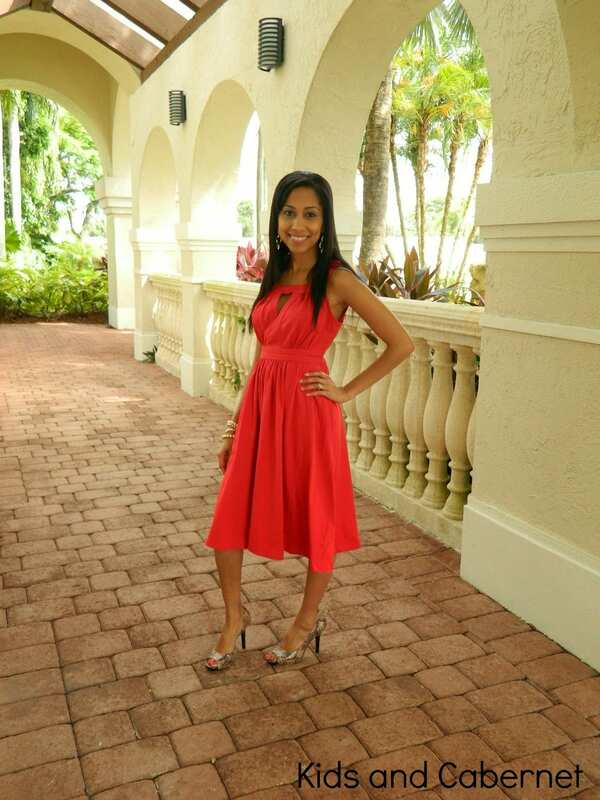 This week’s featured blogger is Amanda from Kids & Cabernet. Amanda is a SAHM who blogs about her “favorite wine, mommyhood, fashion, recipes, decorating [her family’s] home and anything that comes to mind.” Last week’s H54F post featured a fabulous Kate Spade watch I hadn’t seen yet but am now in love with. 2. Chauncey and I started watching True Detective on HBOGo. The show is really interesting. The setup of the show is similar to American Horror Story in that each season is a completely new story line; it’s different in that each season has different actors/actresses. The first season features Matthew McConaughey and Woody Harrelson, and I think they both nail their characters! Has anyone else watched it? No spoilers, please, because we’re only 3 episodes in. 3. 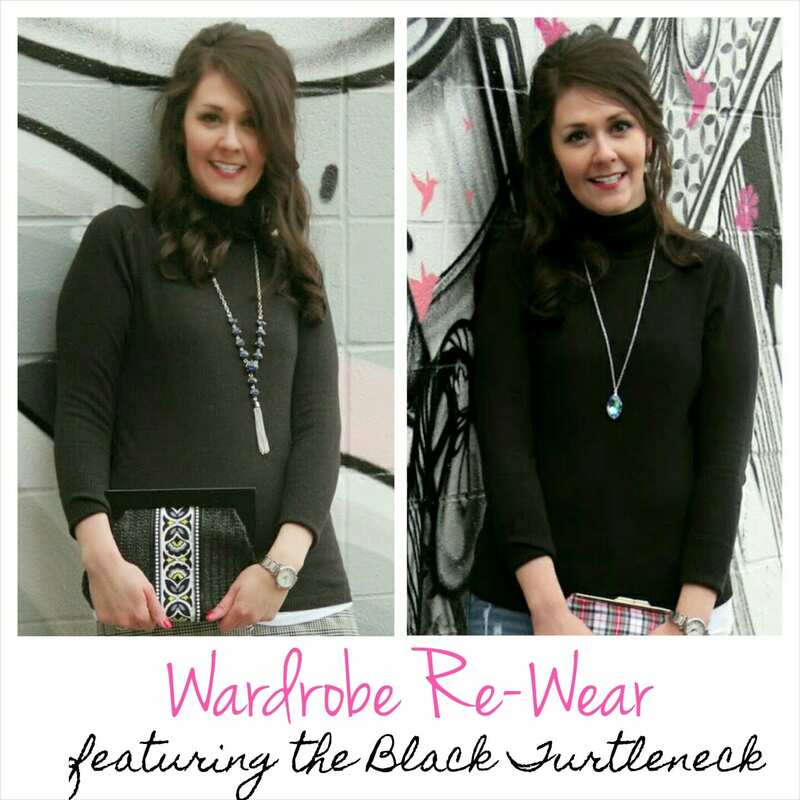 There’s finally a new Wardrobe Re-Wear post! In case you’re not familiar, a Wardrobe Re-Wear post shows two different looks for one piece of clothing. This one features the basic black turtleneck. These are my favorite posts to do, and they’ll be making regular appearances again now that school is done. 4. Kane and I traveled “back home” last Friday to visit with family. We had a great time, even though it was a quick trip. Kane is learning new words so quickly now. Some of the new words he can say include Papaw, duck, choo choo, and bath. He can count to two (I just randomly heard him do it one day). And he likes to “sing.” Where has my baby gone? 5. New clothes delivery!!! My Lilly order came in and I was so pleased with my purchases! Also, how cute are these flats from the Gap Outlet?! Love that you're featuring a blogger every week and that you've kept this linkup alive. This was the very first linkup I ever joined when I first started blogging! Storage on sale?! That's a great deal and even better if you can pick out what you want online! I had no idea about Target Canada, so sad. 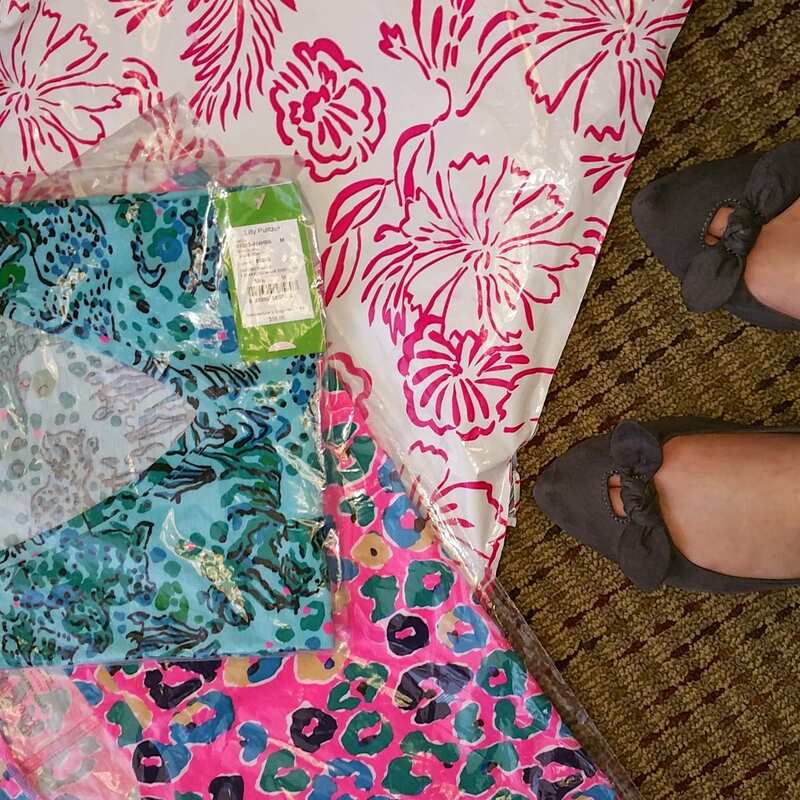 I love the prints you snagged at Lilly! I agree those flats are so cute. I still can't really believe I won the gift card! Thank you again! I've been really appreciating Target's storage deals lately, too! Is Target disappearing in Canada?! That's a sad, sad day. Thanks for the heads up about the storage bins, though. My husband and I just finished True Detective a few weeks ago – it's a very interesting show. I won't give anything away, but it definitely will have you guessing and on edge until the very end. Thanks for hosting! What a fun link up! I am behind the times and didn't realize that Lauren had quit hosting the link up until her post today. But I am oh so glad about this because I now have a new blog to follow. Oh my gosh, you and your blog are so cute. Super excited to follow along! Poor Canada! I should get a couple of totes. I need to start packing up to move soon & those would be so much nicer than crappy cardboard boxes. Happy Friday!! I love all of your clothes. You always dress so stylish. 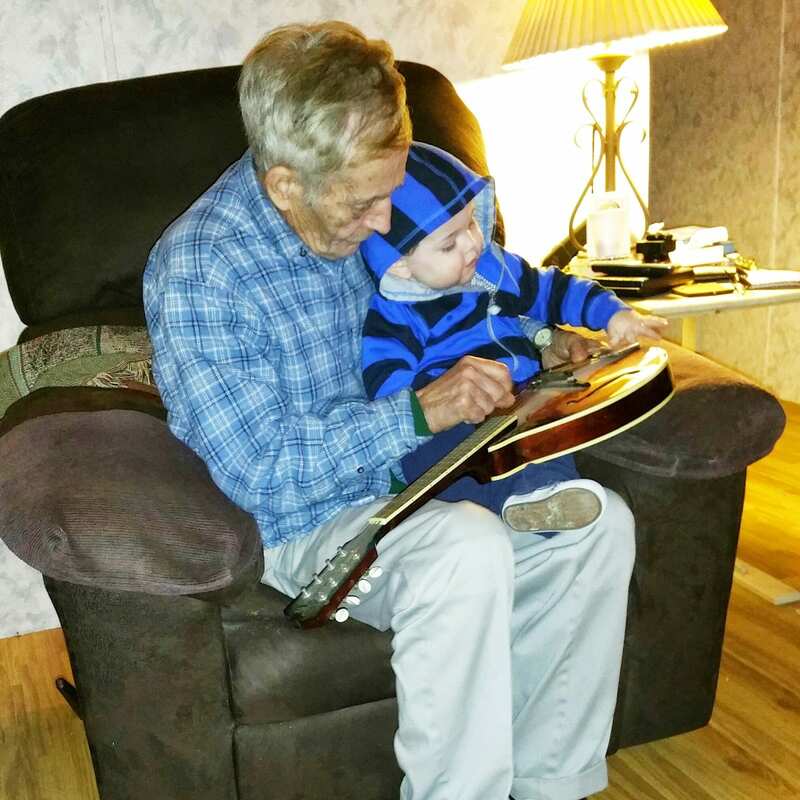 The picture with Kane and your papaw is probably one of my favorite photos. It is so precious! When I saw the Target bins on sale, I almost went over board. But told myself "stick to the list, Katie". But the ones they had on sale are my favorite bins, and I'm a sucker for matching bins. 🙂 Have a wonderful weekend!! Looks like you had a great week! Those shoes from the Gap are so CUTE! Oh my gosh! Congrats to Becky! What an awesome giveaway to win! You guys are so generous. I loved your wardrobe re-wear post earlier in the week. 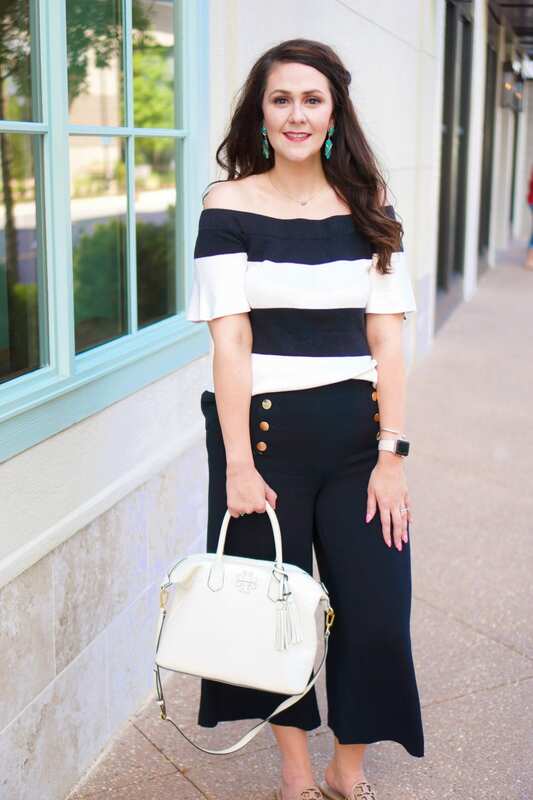 Being a working mom myself, I love when I can transition an outfit from day to night easily! New clothes delivery is like Christmas!! Looks like an awesome week! I've heard True Detective is a great show but haven't watched it yet. Those flats from Gap are adorable! Thanks for the tip on the Target storage! We are moving soon and I need to get the random piles of things in the basement organized. It was my 1st linkup as well, Claire:) We thought the feature blogger would be a fun twist, so I'm glad you like it!!! Thanks for joining in! 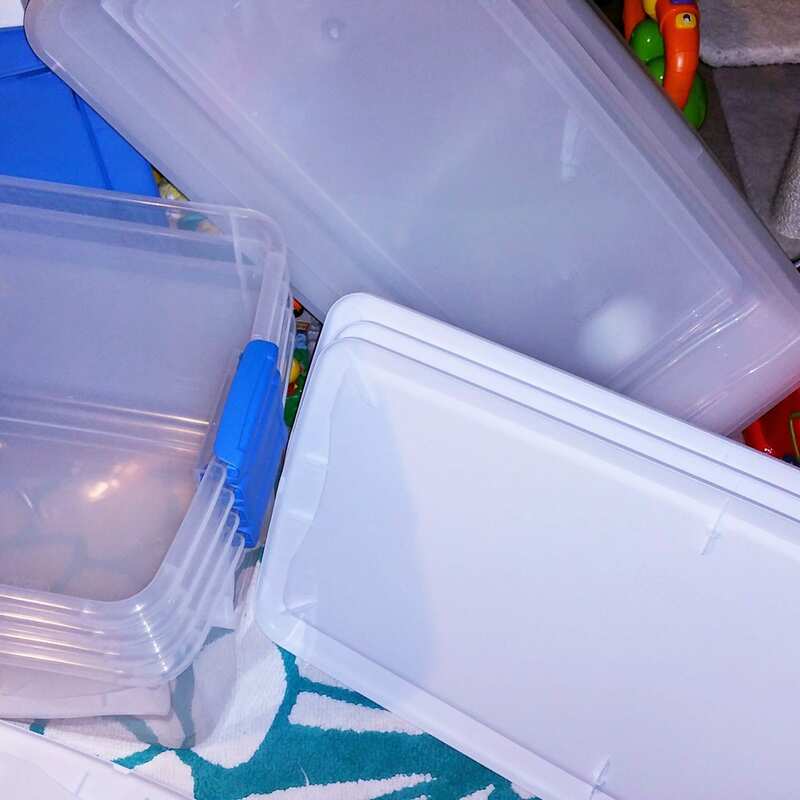 I don't think anyone can ever have enough storage bins! Thanks for linking up! I know! And it's just terrible about Target Canada. I guess it just didn't fit with their business model. I honestly could probably use double what I bought! Thanks for linking up! Thanks:) I only buy Lilly when it's on sale. And I seriously can't get enough of the flats. Thanks for linking up! Sadly, Target is disappearing in Canada. We're now 1/2 through True Detective. I'll let you know when we finish it so we can discuss! Thanks for linking up! Thanks for joining us!!! We loved the linkup and are so excited to carry it on! Thanks, Lindsay!!! We were sad that Lauren quit hosting but really excited to pick it up!!! Thanks again!! !